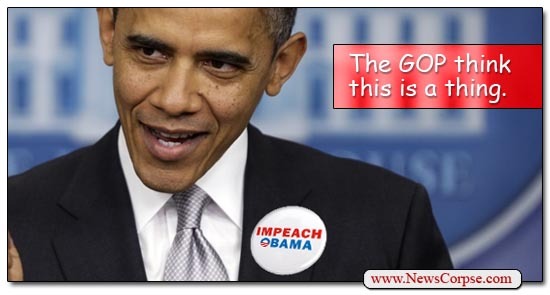 Earlier this week investigative reporter Sharyl Attkisson announced that she had resigned from CBS News. According to Politico, sources say that her departure was due to her frustration with what she considered the network’s liberal bias. However, the truth is more likely that the network was disappointment with Attkisson’s sloppy and partisan reporting. Generally Fox News is openly hostile to what they regard as the establishment media and they mercilessly pound their competitors as neither fair nor balanced. 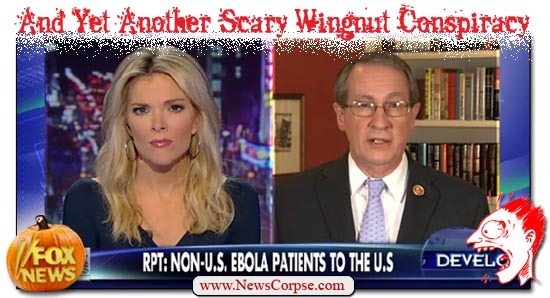 But in the wake of Attkisson’s resignation, Fox has become her biggest cheerleader. 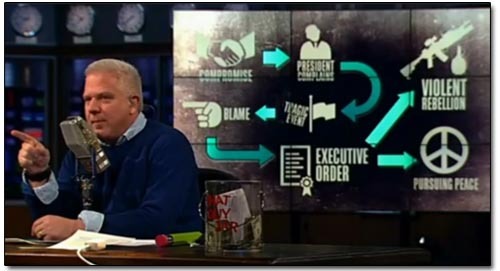 Yesterday Neil Cavuto brought in rightist media hack Brent Bozell of NewsBusters to lament Attkisson’s fate and complain that CBS had cut her off because of her politics. However that opinion ignores the fact that Attkisson’s reporting had recently been shown to be inaccurate and unfairly critical of the Obama administration. That is the reason that her stories have not been getting on the air. To this Cavuto replied “He’d be impeached.” And once again, the rank hypocrisy of Fox News is displayed in all its partisan glory. 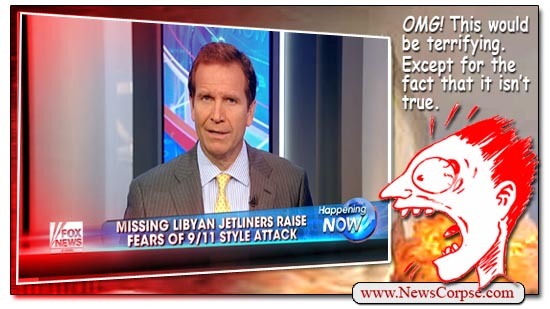 If Fox were the least bit interested in factual representations of events they would have to have acknowledged that during the Bush administration there were at least thirteen Benghazis (i.e. terrorist attacks on U.S. embassies and consulates that resulted in dozens of casualties including the death of David Foy, an American diplomat). 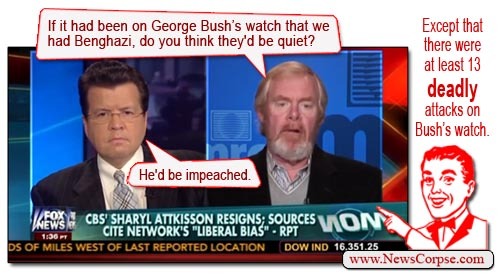 Not only was Bush never threatened with impeachment over those atrocities, no one at Fox ever suggested that Bush was the least bit responsible for them. Nor did they criticize Bush as weak for not retaliating afterwards. Attkisson says that she is going to focus on completing the book she is writing with the totally non-biased title “Stonewalled: One Reporter’s Fight for Truth in Obama’s Washington.” It is being published by HarperCollins, a subsidiary of Rupert Murdoch’s News Corp. From there it is a fairly safe bet that she will find a perch at Fox News where she can continue to peddle her dishonest stories and her rightist views with the full support of her bosses. After all, Fox has long history of scooping up the worst rejects after they have been discarded by other networks. 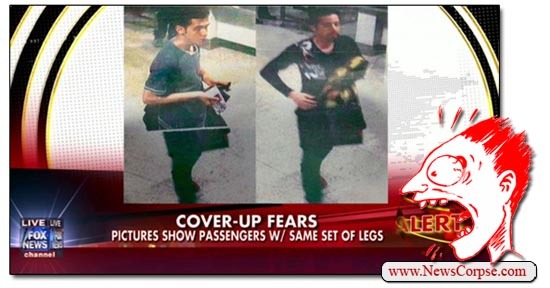 The Fox News interview of Reza Aslan, author of Zealot, was one of the most pathetic displays of journalistic bias and incompetence in recent memory. The interviewer, Lauren Green, has been roundly and deservedly criticized for her amateurish attempt to ambush her guest and foment a fake controversy. The response from media professionals has been been nearly unanimous that Fox botched the affair. However, Fox, true to form, stiffens their back and refuses to accept responsibility for an embarrassing episode and slink away with some sense of humility. They have characteristically fought back with ferocious intensity, defending their anchor and slandering their guest. 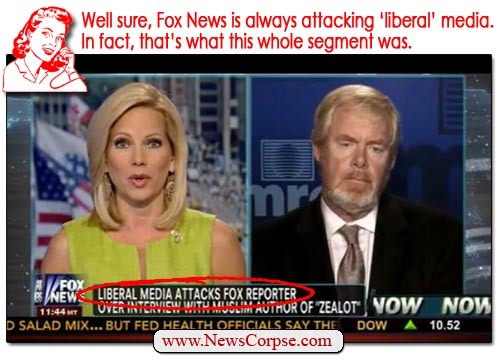 Numerous articles have already appeared on FoxNews.com, but the full-on blitzkrieg took place on the air with anchor Shannon Bream fluffing the head of the uber-rightist Media Research Center, Brent Bozell. Bozell, a devout Catholic, may not be the best person to make that judgment. But more to the point, Aslan is indeed taking the attitude that he is a scholar who happens to be Muslim. 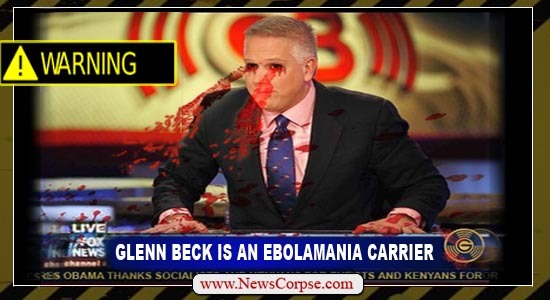 Therefore, according to Bozell, he is not biased. Bozell actually seems to be complaining that Aslan isn’t more deferential to his faith, in which case he would be a “good” Muslim and biased. But Aslan isn’t cooperating with Bozell’s conspiracy theory. In point of fact, not a single critic ever suggested that Green should not have asked Aslan about his faith or his motivation. The criticism was that she never stopped asking about it. She obsessed over it despite his having answered her several times. Then Bream has the gall to complain that the story in the media was more focused on Green than on the book. That’s exactly what Aslan complained about throughout Green’s ridiculous interview. 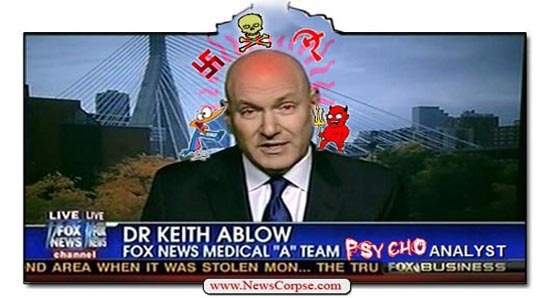 In case you’ve been stationed on a lunar base for the past several years, Fox whining about attacks from the liberal media is evidence that their cerebral cortexes have atrophied. Fox has been on a non-stop campaign of attacking every other media outlet as dishonest, dangerous, even treasonous, since the day they launched. 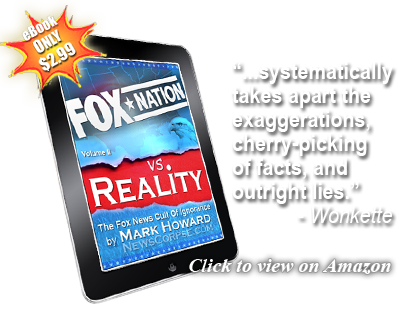 Fox’s slogan, “fair and balanced,” is itself an assault on the integrity of their competitors. 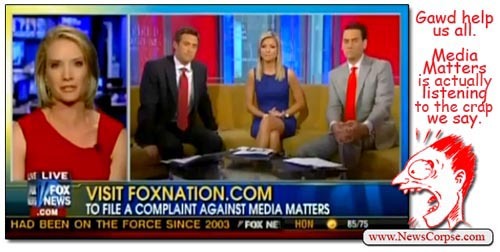 For a sampling of how Fox deals with their media peers…..
Did Liberal Media Plot Against Sarah Palin? This list could go on and on. And it doesn’t even include the personal attacks leveled by Bill O’Reilly, Sean Hannity, Eric Bolling, the Fox & Friends crew, etc. Fox spends more time on attacking the rest of the media than they do on reporting the news. But to be fair, they hardly ever report actual news, so that isn’t a particularly revealing criticism. 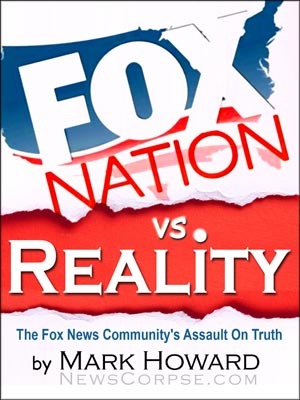 It has been proven in multiple studies that consumers of conservative media (particularly Fox News) are significantly less knowledgeable about current affairs than those who favor other media or even those who consume no news at all. 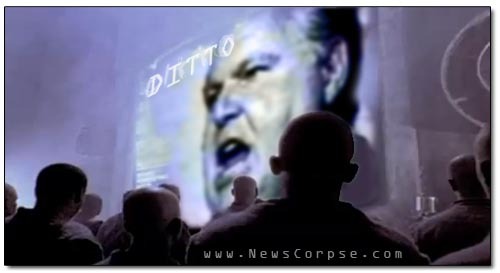 Nevertheless, it is conservatives who whine incessantly about an illusionary liberal media bias. 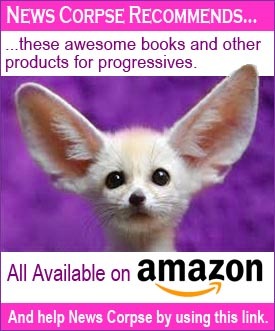 It is astonishing how they can convince themselves that these giant, international, multi-billion dollar, conglomerates are somehow aligned to a socialist ideology that would rob them of their wealth and independence. Oh great. Now the least informed segment of society is being coerced to voluntarily make themselves even more stupid by constricting their media access to a narrow and partisan assemblage of right-wing propaganda and blind conservative boosterism. That’ll help. The aforementioned list of grievances in the letter is a tired collection of debunked conspiracy theories, misrepresentations of news events, and Republican talking points. Certainly the audience to whom the letter is directed has already been sufficiently misinformed on these matters. So what goal do the letter’s co-signers have in beseeching their readers to abstain from watching a more diverse selection of media? The only plausible purpose is to insure that they remain untainted by alternative viewpoints so that they can be more easily manipulated by their conservative masters. Obviously there is some lack of confidence in the ability of conservatives to digest broad-based information and make up their own minds. The signers of the letter are a who’s who of right-wing disinformation, starting with the head of the uber-rightist Media Research Center, Brent Bozell. 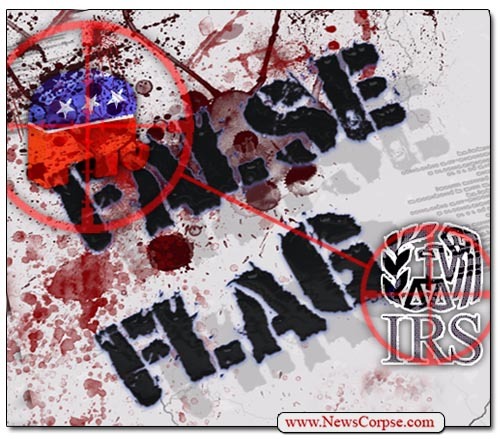 Other notables include Gary Bauer, President of Campaign for American Values; Matt Kibbe, President and CEO of FreedomWorks; Laura Ingraham, National Radio Host; Amy Kremer, Chairman of Tea Party Express; Tony Perkins, President of the Family Research Council; and, of course, Rush Limbaugh. These are the people who are complaining about bias in the media? And their appeal was posted as a news story on the front page of the Fox News web site where there has never been a hint of bias. I think it’s a great idea to sequester the lunatic fringe to an asylum inhabited by their own kind. Then they won’t bother the rest of us with their delusions of Kenyan usurpers, climate science deniers, and fables of Jesus riding on dinosaurs. They can amuse each other with their shared distortions of reality, listen to Ron Paul books on tape, and swap stories about their gold coin collections and dehydrated survivalist dinner packets. We’ll be here taking care of things while they’re gone, and tending to the problems of the real world. Should they ever decide to rejoin us they will find history, and diversity of opinion still in tact. 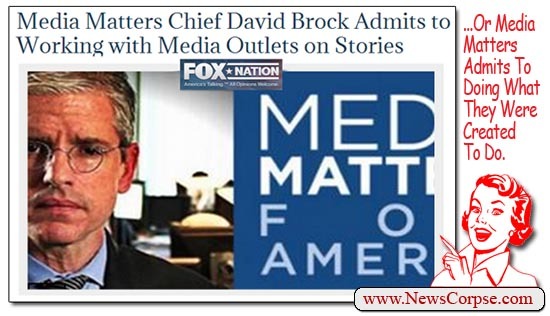 For more than a month now, Fox News has been engaging in a smear campaign directed at Media Matters. The obvious takeaway from their obsession is that Media Matters Has Fox News Scared And Desperate. Why else would they devote so much air time and web space to falsely disparaging them? 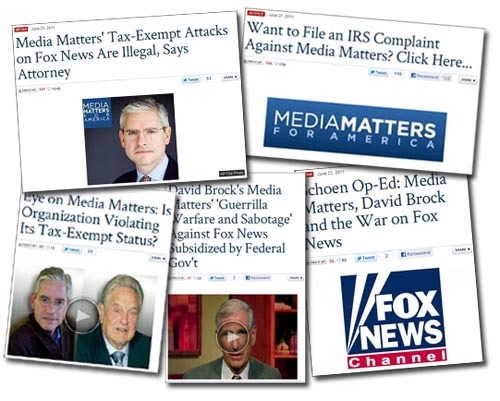 The latest episode involves a posting on Fox Nation with the headline: Media Matters’ Salaries Exposed. The post links to an article on Mediaite which references data from the Poynter Institute. Both of those sources used the headline: What it pays to monitor the media. The data includes salary information of five principles at Media Matters. However, it also includes salary information of five principles at the conservative Media Research Center. As you can see, the folks at Media Research Center earn significantly more than their Media Matters counterparts. Brent Bozell earns about 47% more than David Brock. The average for all five at Media Matters is about $188,000, while the average for all five Media Research Center execs is over $200,000. What’s more, the Media Research Center, with an annual budget of $11 million, receives far more funding, mostly from from radical right-wing sources affiliated with the John Birch Society, the Koch brothers, and the Scaife family foundations. Media Matters has a more modest budget of $2.7 million and funding from reputable patrons like cable executive, Leo Hindery and Esprit founder, Susie Tompkins Buell. In addition, they just received their first donation from the conservative’s favorite bogeyman, George Soros, despite claims from Beckian conspiracy theorists that Soros has been pulling the strings from the beginning. 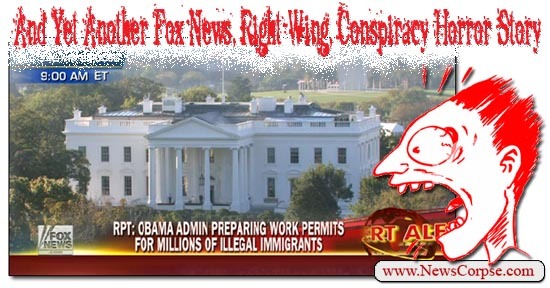 This is another example of Fox distorting the information they present because the truth would only make them look bad. It’s a pathetic exercise that reveals just how unethical and dishonest they are. Sadly, their audience just keeps getting misinformed, which means they just keep getting dumber. It makes it difficult to maintain a democracy when a major so-called news enterprise simply doesn’t care about the truth.